I’m excited to share this sweet family of 3 and their winter holiday petite session! I did maternity and newborn for their baby girl. I am so happy to see they are back again!! 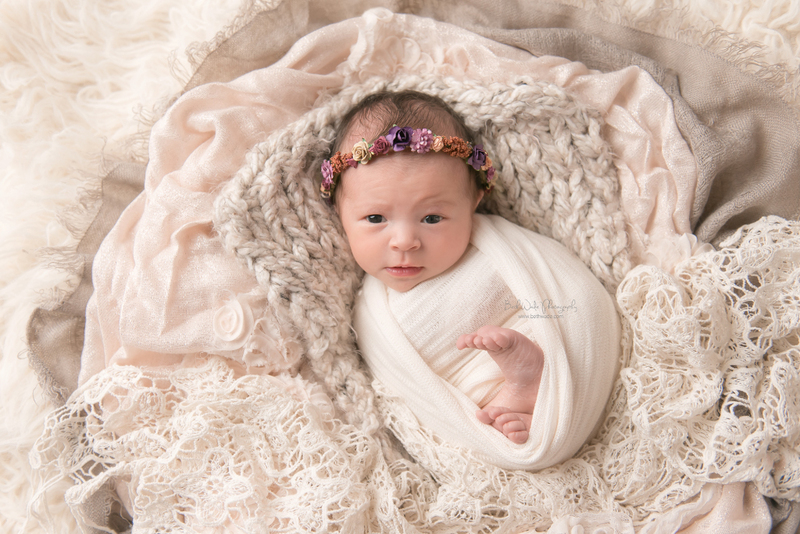 We always have so much fun and I love watching my newborns grow up <3 Since the weather is finally getting chilly we opted for a studio setting. Plus, mama really wanted those adorable bare bum shots I love so much 🙂 The rolls on their girl are just too precious! She was a bit of a tough crowd but we got a few sweet smiles from her. Love the gummy smiles. And ohmigoodness those CHEEKS! <3 I offer these holiday sessions exclusively to my existing clients and their direct friend referrals. We meet for a quick 15 minutes, I grab 10 shots, simple easy and great with toddlers (who have a tiny attention span)! 🙂 Since these are typically used for custom holiday cards we create, I can’t often share them on here. But some families give me the ok and I’m excited to post their gorgeous photos! <3 Here are their 10 images from our time together. Enjoy!